In Bangladesh, merely blogging about secular ideas if proving to be deadly. Meanwhile, Bangladeshi newspaper The Daily Star reported that Ansar al-Islam, a local chapter of al-Qaeda, claimed responsibility for the killing. The newspaper said the group had sent an email to media houses in Bangladesh, adding that the authenticity of the email issued by Mufti Abdullah Ashraf, who claimed to be the spokesman of Ansar-Al-Islam, could not be verified independently. In at least two of the cases, the killers were apprehended. In the other cases, the police so far only have suspects. The silence over the murders and the government’s apathy in actively protesting against insurgents and nefarious elements targeting free speech advocates has been condemned by international human rights activists and agencies. Tahmina Rahman, director of the Asia Programme for Article 19, an organisation defending the right to freedom of expression, discusses the issues surrounding these killings. What does the killing of bloggers Niloy Neel, Avijit Roy and Washique Rahmar tell us about the state of freedom of speech and expression in Bangladesh? Tahmina Rahman: The violent killing of another critical voice shows that serious threats to freedom of expression persist in the country. It is a chilling attack on free speech. The murder of yet another blogger is utterly condemnable. What are the causes of extremism and intolerance in Bangladesh? Tahmina Rahman: Bangladesh is officially a secular state, but huge populations are still illiterate. Poverty often means segments of populations lack access to formal education institutions so join the madrasa system of education instead. These institutions are run by clerics who are neither enlightened and nor well read in religious texts. Thus they are easily influenced and dogmatic, and promote a vicious circle of religious intolerance based on dogmatism. How has the general public reacted been to these incidents? 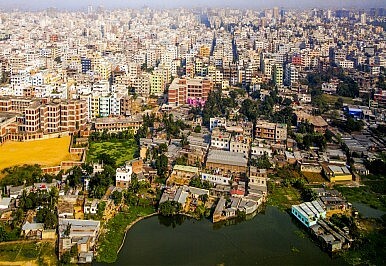 What about the online community in Bangladesh? Tahmina Rahman: Among the 15 incidents, the attacks and killings of bloggers Rajive Haider, Avijit Roy and his wife in Dhaka, Ananta Bijoy in Sylhet and now Niloy Neel, has triggered huge outrage. Bloggers, activists, rights bodies and different political parties have protested the killings. Demonstrations were held in different parts of the city, demanding speedy investigations and trials. There is also criticism against the government for its failure to find the killers of bloggers killed in the last few months. Why is the rate of conviction so low in Bangladesh for murders of this stamp? Tahmina Rahman: Investigation into cases relating to attacks and killing of bloggers and online activists has barely seen progress, although such killings began in 2013. Delayed investigations and trials are encouraging the assailants to continue with their crimes. Does the Bangladesh government muzzle freedom of speech? From a legal standing, how are the freedom of speech laws in Bangladesh implemented in cyberspace? Tahmina Rahman: Guaranteeing universal access to digital services is a key government policy target. The Information and Communication Technology (ICT) Act 2006 (as amended in 2013) provides the legal framework for digital Bangladesh in respect to freedom of online expression. The government has also recently released a draft of a cyber-crime law and guidelines for online expression. Several provisions in both the ICT law and the recent drafts are incompatible with international standards on online freedom of expression; they include broad content-based restrictions. Parts of the ICT law are ambiguous and disproportionately criminalize several areas of expression which are generally legitimate. The use of vague language in the law also means that there is legal uncertainty, leaving the law open to arbitrary interpretation and application. Recently, Indian civil society managed to get rid of the draconian article 66A of the IT act that muzzled freedom of speech. Do you see any such movements taking place in Bangladesh in the near future? Tahmina Rahman: We have been advocating for a review of sections 57 and 46 of the ICT law in Bangladesh. In a recently A19 organized consultation with parliamentarians, the Law Minister Anisul Huq acknowledged that the ICT law contains “certain offences such as obscenity and expression of false information, which are vague laws, and laws like this cannot be permanent”. He emphasized that all laws should be reviewed every two to three years. We are currently preparing a memorandum for reform of the law to the government. How is Article 19 fighting against the threat to freedom of speech? Tahmina Rahman: We work on advocacy: legal, defense and protection. We have been working with bloggers for the last two years, helping them band together to voice their opinions in more structured ways, although they are extremely individualistic. We also monitor violations and issues statements to draw the attention of the government. We had launched a ‘charter’ on the protection of online expression in Bangladesh that was very well attended by invited bloggers and even by the government. The charter will act as a safeguard for bloggers, citizen journalists and all those who express their views and opinions online. Further, we give training and orientation, especially regarding their own safety, and are in contact with the families of the murdered bloggers. How can other South Asian nations like India support Bangladesh’s secular communities that are being targeted time and again? Tahmina Rahman: South Asian countries and Bangladesh’s immediate neighbor India can support us by monitoring the situation constantly and influencing the government through statements. This interview first appeared on Catch News and is reprinted here with kind permission. The Diplomat's Sanjay Kumar speaks with Ananya Azad about freedom of expression in Bangladesh.